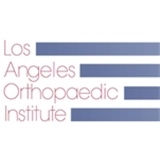 Los Angeles Orthopaedic Institute (Sherman Oaks) - Book Appointment Online! The Los Angeles Orthopedic Institute (LAOI) is one of California’s oldest and most respected orthopaedic practices. Founded in 1976 by Martin E. Blazina, MD, LAOI quickly become known for its progressive approach to treatment. Dr. Blazina’s visionary belief in the benefit of partial versus total joint replacement, studying sports to understand the causes of sports injuries, and rehabilitation’s role in the treatment of athletes formed the basis for our philosophy today. Our continued dedication to preserving our patients’ own knees, shoulders, and hips, avoiding full joint replacement surgery, and returning each person to a healthy, active lifestyle with less pain and scarring, and faster rehabilitation and recovery is rooted in our founding principles. Super quick visit while I took a break from work, if you do you paperwork online they see you pretty quick and there were about eight people in the wait room when I arrived. Once my history was taken, I was x-rayed a few minutes later and saw Dr. Botts a few minutes after that.